Lights! Music! Movies! The electronic age is born, thanks to The Brilliant Inventor, Thomas Alva Edison! This true story about the great inventor will bring him to life and make you wonder what's around the corner for you to invent in your lifetime! A 26-page paired activity guides for Thomas Edison and Philo Farnsworth, perfect for lesson planning and handouts for projection on your SmartBoard for is now available! 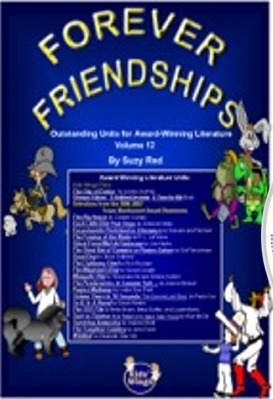 Thomas Edison is one of the 21 literature guides in our Kids Wings Forever Friendships collection! We are now closing out our hard copies so it is now the least expensive that it will ever be. $.71 per literature guide while supplies last! Buy Thomas Edison, the Brilliant Inventor, a Time For Kids Book NOW! Other Interdisciplinary Learning Units for Grades 3-7 are now available in our Bookstore. Your purchases through the Kids Wings and Amazon Links help to keep our websidoors open!